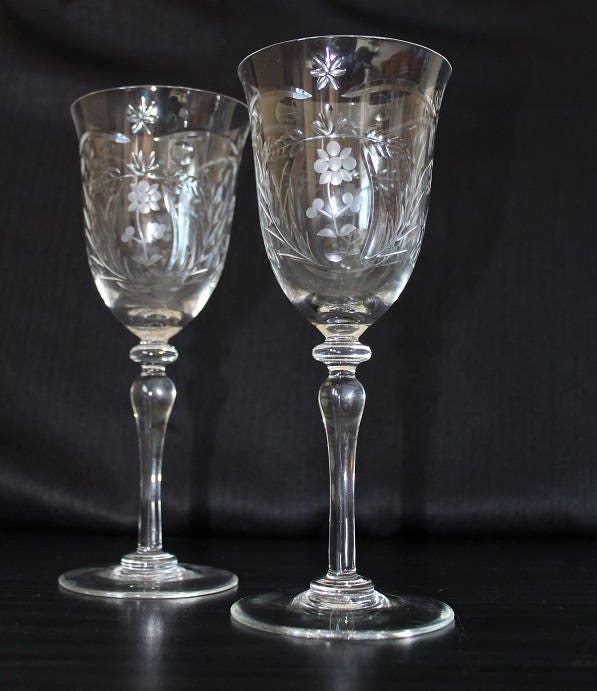 Perfect for a special toast, this lovely pair of etched and cut wine glasses features an etched flower flanked by two smaller flowers coming off the same stem. 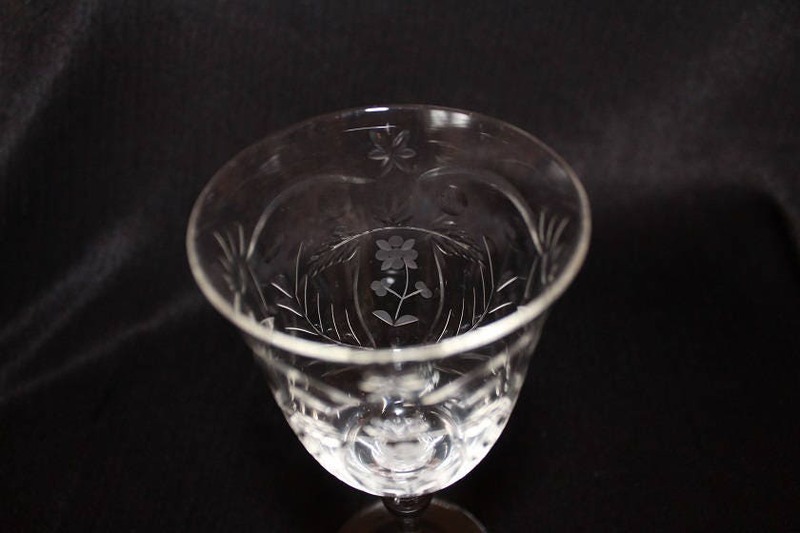 There is a cut leaf design framing each side of the flower and an etched leaf design across the top of the etched flower. This design appears on both sides of the glass. 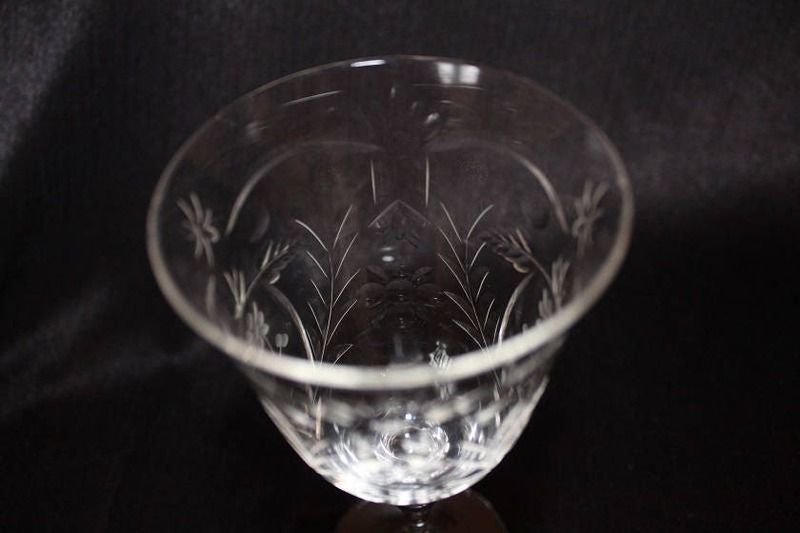 Under the rim is a cut arched and floral pattern. The stem and base are clear. 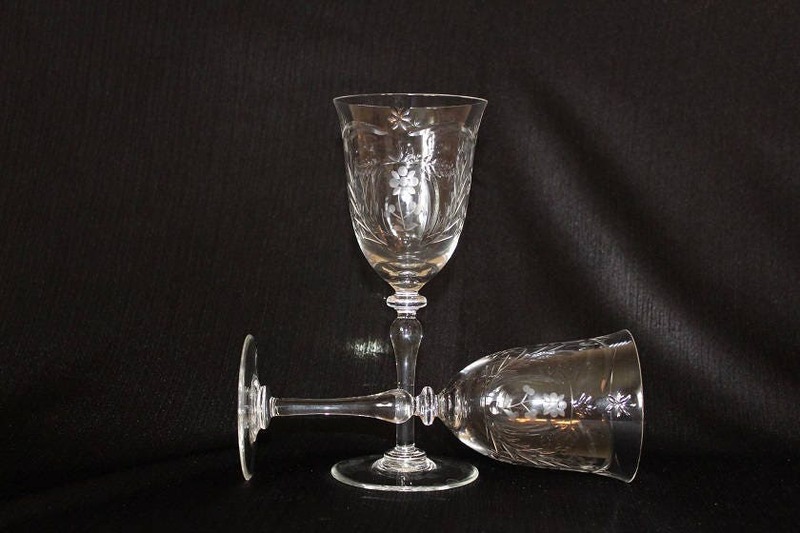 These glasses are delicate and will need to be hand washed. 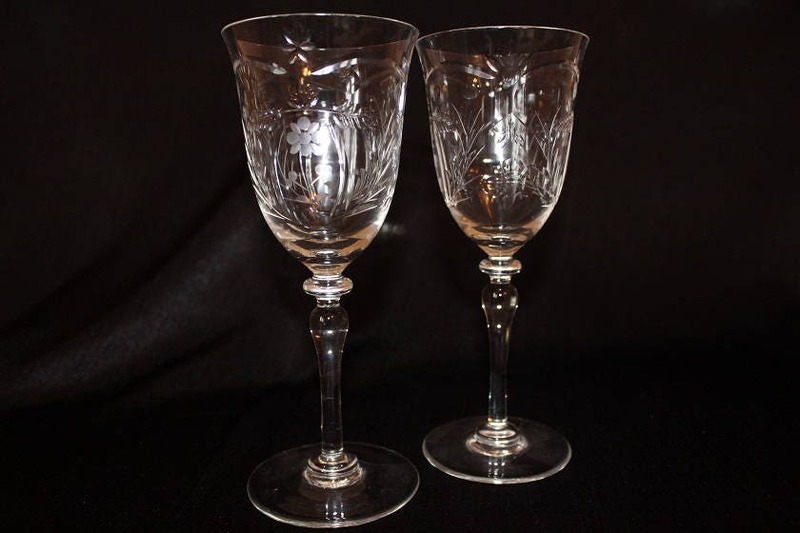 These glasses are unmarked and the maker is unknown.